CINCINNATI -- With approximately 40 percent of homeless youth nationwide identifying as LGBTQ , local organizations hope to reach homeless youth in the Tri-State by harnessing the power of something seemingly every young person has access to: a smartphone. 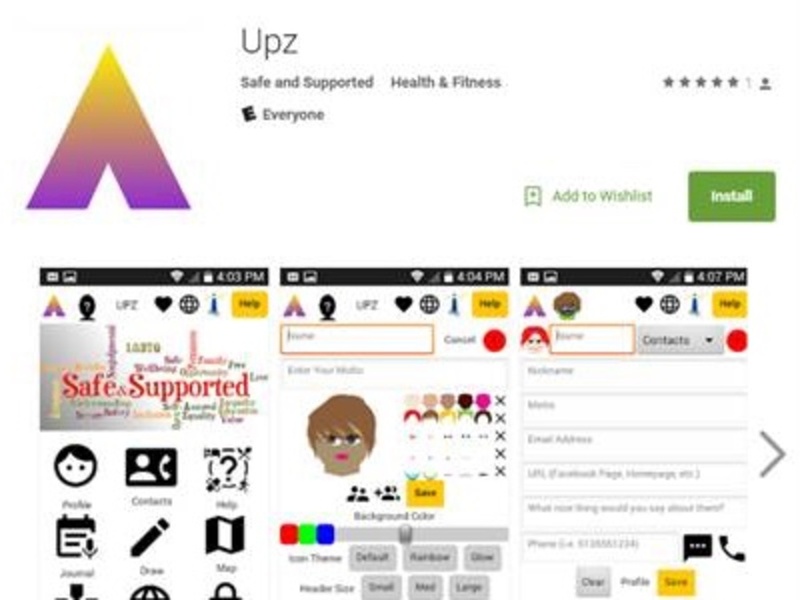 The Upz app, currently available only on Google Play for Android phones , is designed to connect homeless LGBTQ youth, or those at risk of becoming homeless, with emergency resources such as shelters, food, medical care and hotlines to prevent suicide and self-harm. To create the app, members from the Safe and Supported initiative at Lighthouse Youth Services teamed up with app developer Mark Mussman, director of education for the Greater Cincinnati Coalition for the Homeless . Mussman said they went straight to the source for advice: homeless youth residing at the Lighthouse Sheakley Center for Youth . They contributed their ideas and provided feedback throughout the development phase. What if the kids don't have a smartphone? Sheri Hammel Hager, communications and public relations director at Lighthouse Youth Services, said that wouldn't really be a problem. "The amazing thing is almost every kid on the street has a phone. That’s one of the things that we’ve learned above all else working here," Hager said. "More than food, that’s their necessity." The Palette Fund, True Colors Fund and the Williams Institute produced a report in 2012 revealing that up to 40 percent of homeless youth across the United States self-reported as LGBTQ. The report states that family rejection on the basis of sexual orientation and gender identity was the most frequently cited factor contributing to LGBTQ homelessness. The Safe and Supported initiative director, Melissa Meyer, said Upz makes it as easy as possible for LGBTQ youth to reach out for help by directly linking them with the services they need. “The Upz app can connect them to resources that can help them build positive and supportive connections, an important element in addressing LGBTQ youth homelessness,” Meyer said. This project was funded in part by The Carol Ann and Ralph V. Haile, Jr./U.S. Bank Foundation . Lighthouse Youth Services , in partnership with Strategies to End to Homelessness , the Human Rights Campaign (HRC) of Greater Cincinnati and the Gay, Lesbian & Straight Education Network (GLSEN) of Greater Cincinnati , is implementing a community plan to end LGBTQ youth homelessness by 2020 by improving outcomes for LGBTQ youth in four core areas: social and emotional well-being; permanent connections; education and employment; and permanent connections. Cincinnati is one of two communities (Houston is the other) in the country selected by the U.S. Department of Housing and Urban Development (HUD) to participate in the LGBTQ Homelessness Prevention Initiative . Click here to read the Hamilton County Safe and Supported Community Plan .